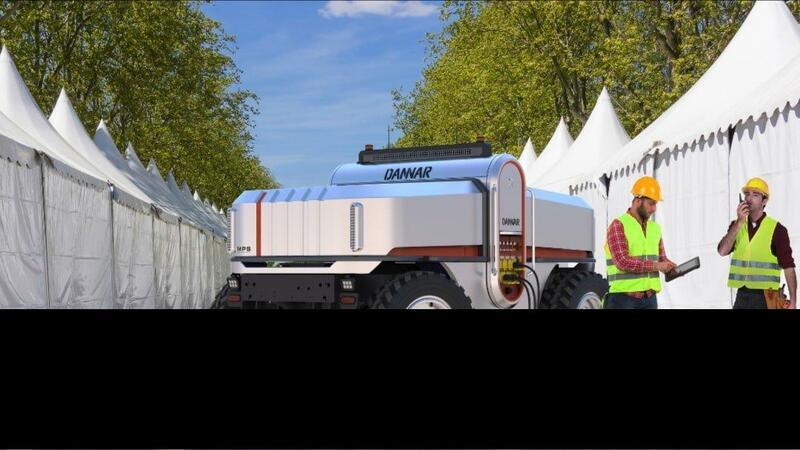 DANNAR 4.00 Series – Merging work and power, DANNAR is proud to introduce the DANNAR 4.00. 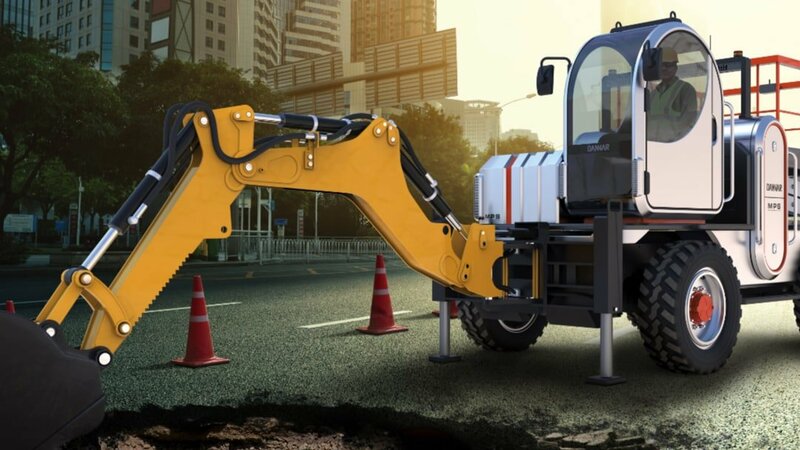 Battery electric, the 4.00 series provides heavy off-road equipment with a platform robust and powerful enough to run all day long. Launched July 2018 in San Diego, CA. 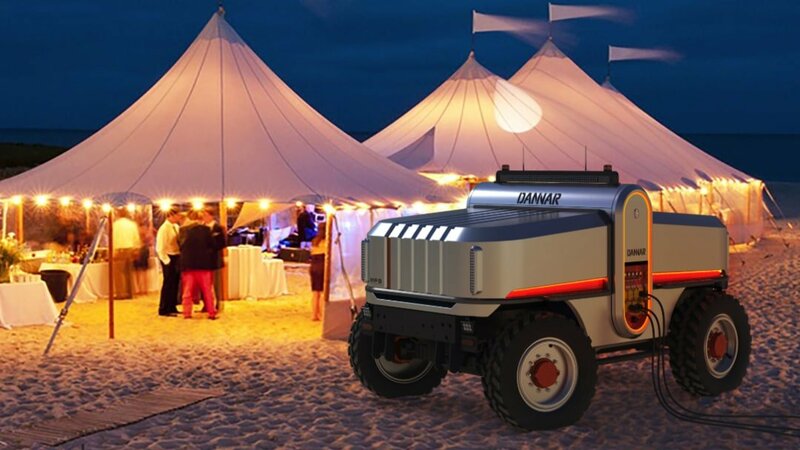 The DANNAR 4.00 base configuration comes standard with three 42 kWh BMW i3 Li-Ion battery packs (126 kWh total), and can be easily upgraded with up to nine additional packs for a total of 504 kWh of on-board electricity. The export panel is configurable with multiple 110VAC and 208VAC outlets. 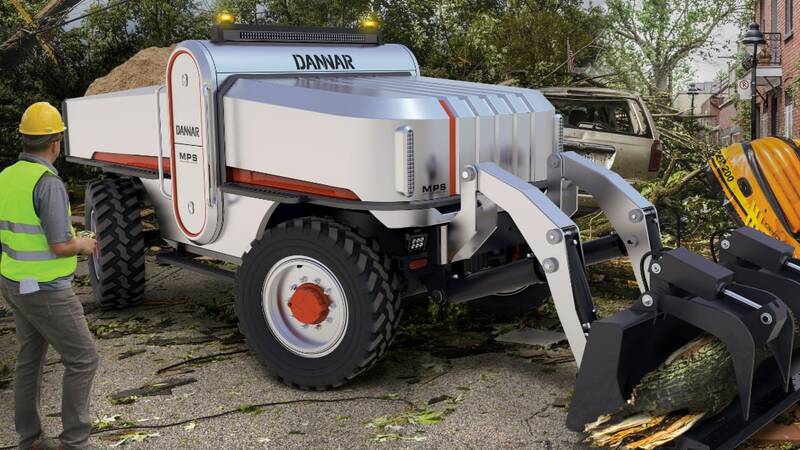 Built on a heavy-duty steel ladder frame, the DANNAR 4.00 can be ordered with or without an operator cab or platform. 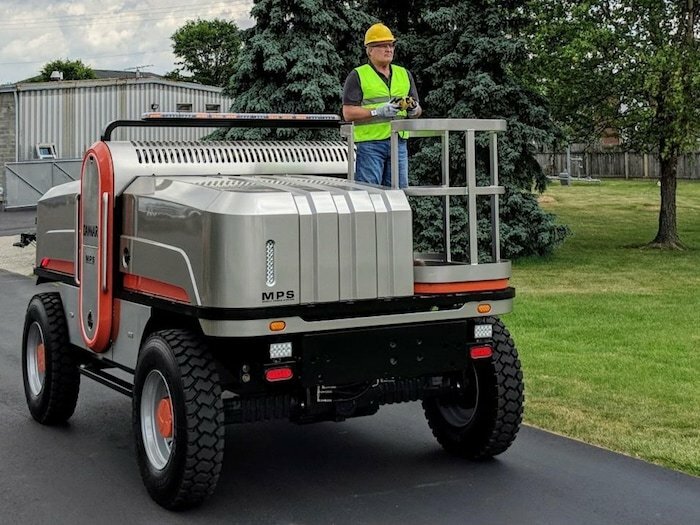 The base model comes standard with dual flat beds to accommodate a range of work functions from adding scissor lifts, forklift masts, or dump beds, to water tanks, electric water pumps, portable light units, or mobile telescoping cell towers. 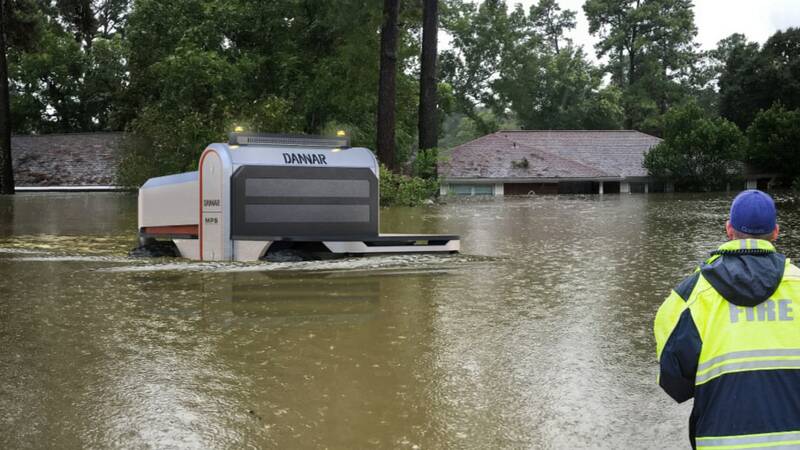 The DANNAR 4.00 accommodates all standard Caterpillar®, Bobcat® or John Deere® attachments and is submersible in up to four feet of water. 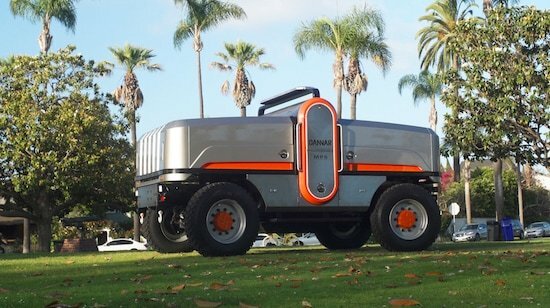 The DANNAR carries Type I, II and III hydraulic tool circuits, is four-wheel drive and has four-wheel, multi-mode steering. 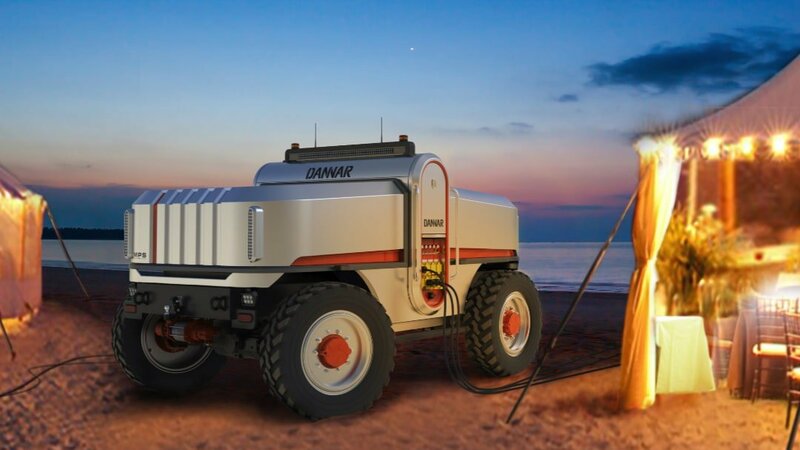 In the open platform configuration, the DANNAR 4.00 can provide up to a half Megawatt of energy storage in its high-capacity BMW lithium ion battery packs. An optional 60 kW Cummins tier four generator can also provide 600 kWh of continuous export power and battery recharging. Solar charging stations can be integrated with the DANNAR 4.00 to provide extended off-grid energy independence and energy resilience. 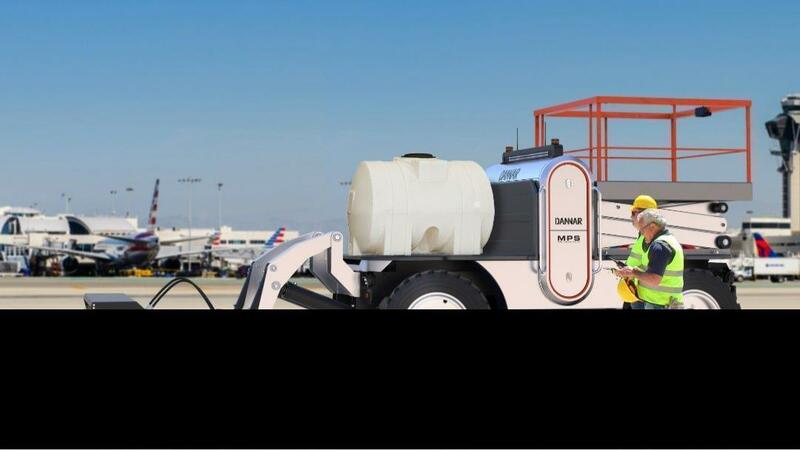 DANNAR Mobile Power Stations® are the first all-electric, heavy-duty equipment that utilizes a componentized modular design. 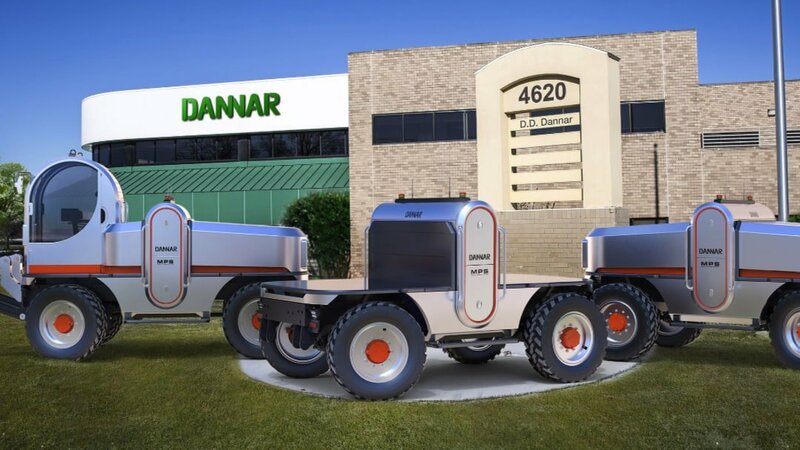 Click below to watch a video and begin to think about how you would build your DANNAR, and change it as you need for different applications. Are you interested in seeing a demonstration? 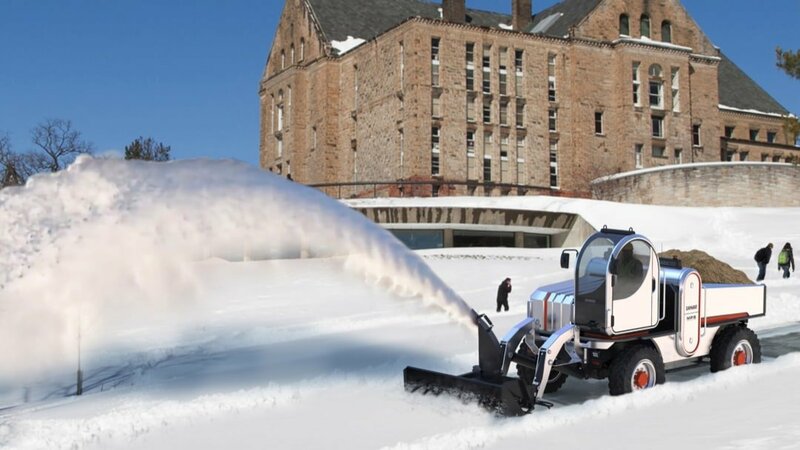 Click below to find out more about where we are holding events and tradeshows, as well as to request a demonstration in your area! See our revolutionary Mobile Power Stations in action. Check out the videos in our video library to see how our MPS® can meet all of your work needs. 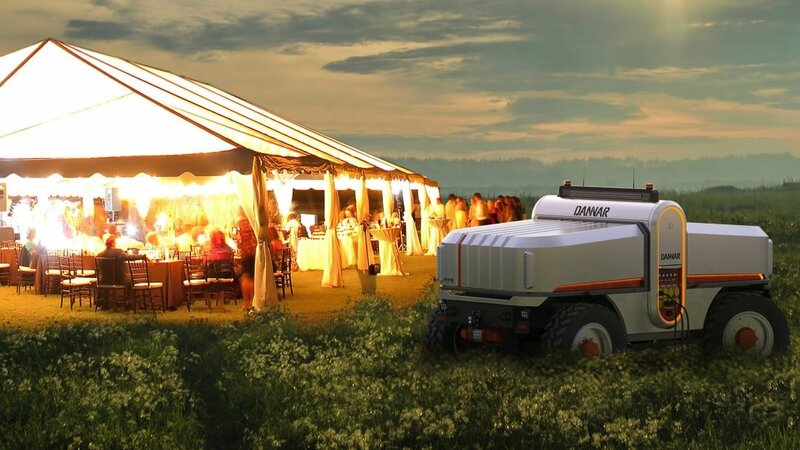 The new design of the DANNAR 4.00 series provides symetry for additional functions and design themes.